The NetherRealm fighting games have a bit of an iffy history with PC, but if Injustice 2 is coming to PC, that’s a great chance to turn that around. Mortal Kombat 9 and Injustice: Gods Among Us both had weird little things going on with their PC releases, and the Mortal Kombat Trilogy that’s still for sale on steam stunningly doesn’t run at all on Windows 10. The worst was Mortal Kombat 10’s PC port, which was an unmitigated disaster on launch. With broken netcode, late updates and just generally poor performance, people on Steam were furious. It was no Batman Arkham Knight PC debacle, but it was up there. 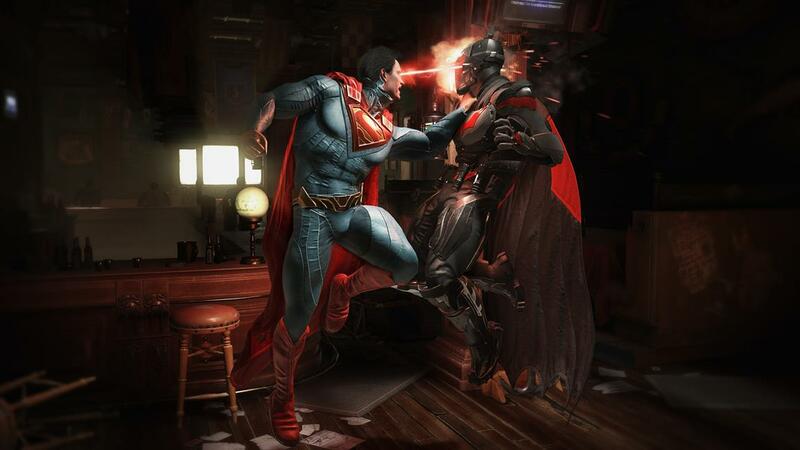 Eventually NRS fixed MK10’s PC problems, but it perhaps wasn’t surprising that when they launched their next game, Injustice 2, they chose to skip PC entirely. A new retail listing on Amazon France shows that Injustice 2 might not remain a console-only release for long. The listing that’s appeared for Injustice 2’s Deluxe Edition lists nothing else about the game with no hint at a release date or anything similar, but it does clearly list it as a Windows version of the previously PS4 and Xbox One only fighter. European retailer Game Mania has also listed the game for PC, complete with box art. NetherRealm has typically never made their own PC ports but has instead handed them off to other developers, so this might be a chance for them to handle a PC port themselves. The originally nightmarish port of Mortal Kombat 10 was handled by High Voltage, though Warner Bros. eventually replaced them with QLOC – that company shipped the fixed version of that release. Injustice 2 has also seen a bunch of DLC including Spawn, Red Hood, Starfire and Mortal Kombat guests Sub-Zero and Raiden. A late PC port could potentially include these updates. Injustice 2 launched back in May and impressed, racking up great review scores and earning quite a bit of praise here on VG247 in our Injustice 2 review, with Sherif saying its hefty launch package of content should be the new standard for fighters – quite different to the meagre launch offering of Street Fighter 5. Special thanks to Shredder from Teenage Mutant Ninja Turtles (no, really) who sent us this tip.